I’m facing a lot of roof-line work in my near future, involving gutter maintenance, soffit vent replacement, and repairs to the eaves of my house. This means I’ll be spending a lot of time off the ground. When working atop a ladder on projects like this, I spend half the time moving and repositioning the ladder. 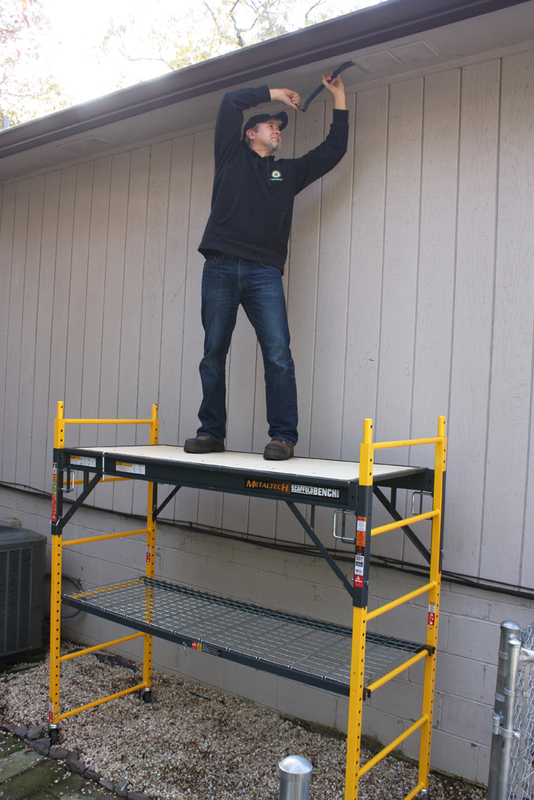 To save time, provide a wider platform, and give myself a little elbow room, I’m using the new 4-in-1 Multi-Purpose Scaffold Bench from MetalTech (sold exclusively at the Home Depot). Thanks to its large locking casters, I can roll the Scaffold Bench right where I need it and adjust the height of its wooden work platform up to 6 feet. And although this is a new product, it appears MetalTech has plans to offer extensions, guardrails and outriggers to access even higher working elevations (I see myself ordering those in the future). The bench has an 1,100-lb. 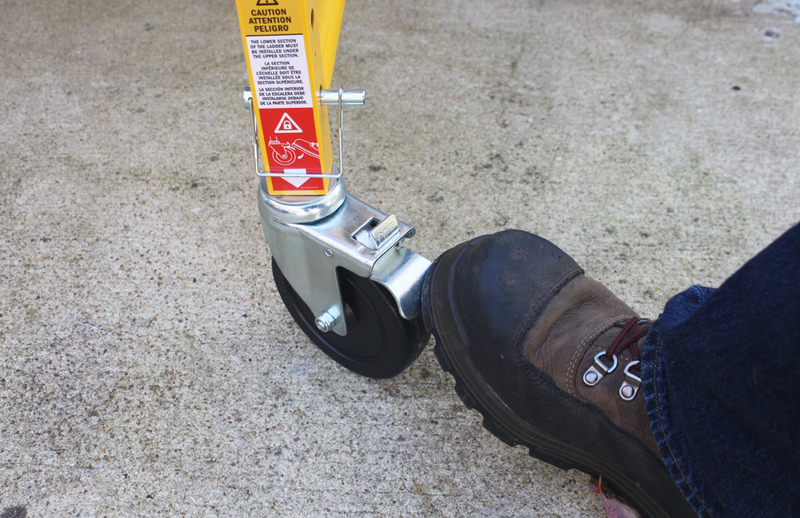 capacity, and the deck allows for a stable footing and a large standing space of 29 in. x 72 in. 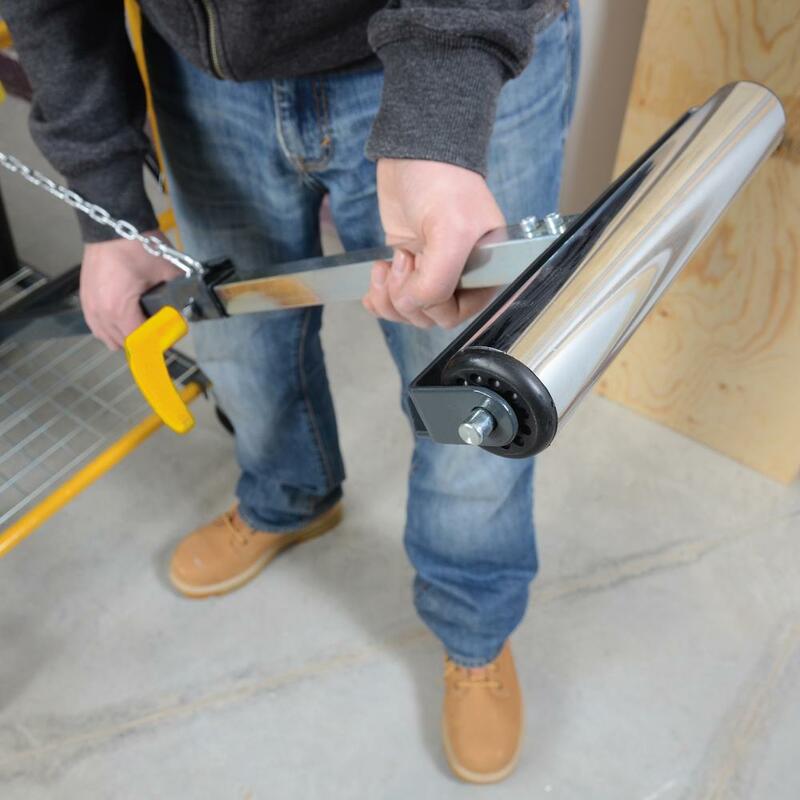 When used as a workbench, the included rails and attachment brackets can be used to install any brand of miter saw or table saw, along with accessory outfeed roller supports that attach to the end of the bench. 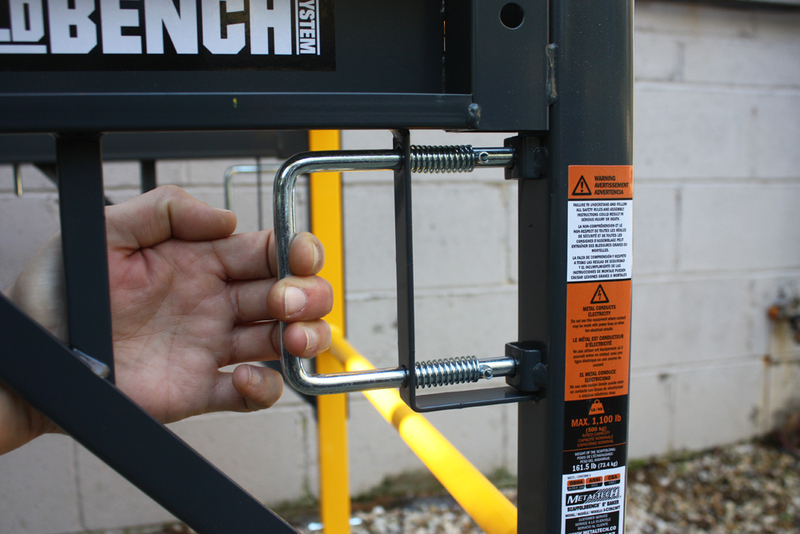 The workbench can be easily moved around the jobsite, then locked in place for stability. 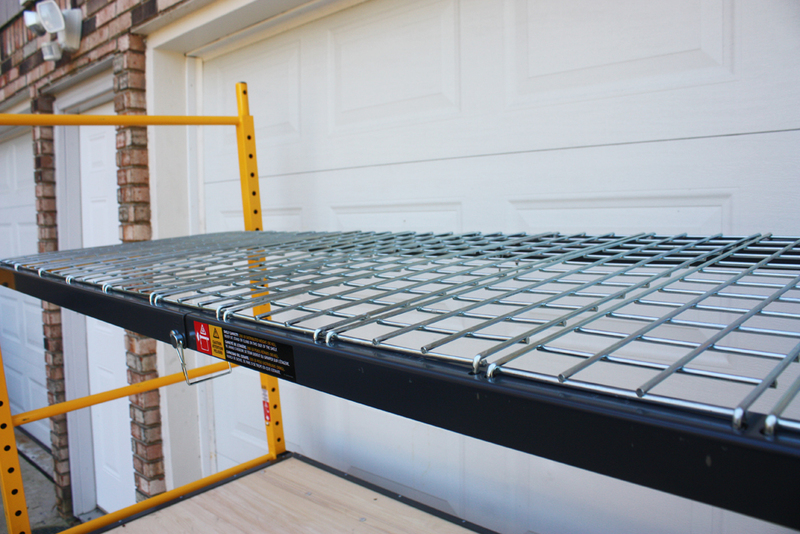 After the work is done, the Scaffold Bench can be configured as a two-shelf storage unit for the garage or workshop. The included storage shelf includes a ventilated metal grid and side braces (200-lb. 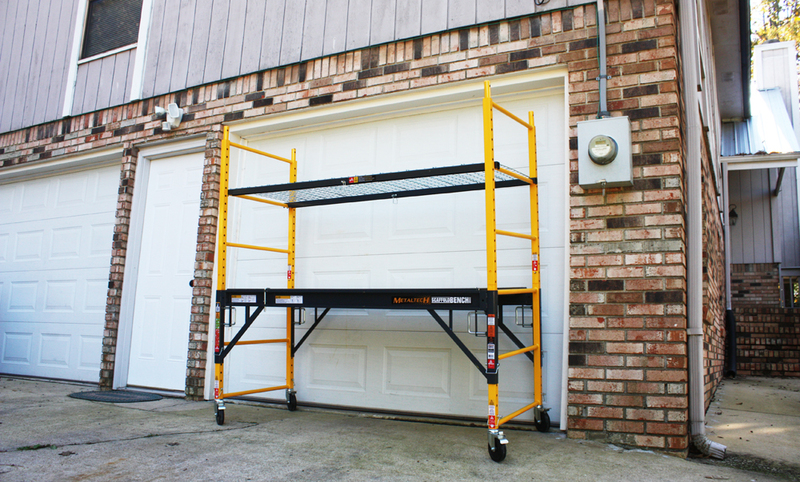 capacity) that can be adjusted to any rung height along the ladder sides. 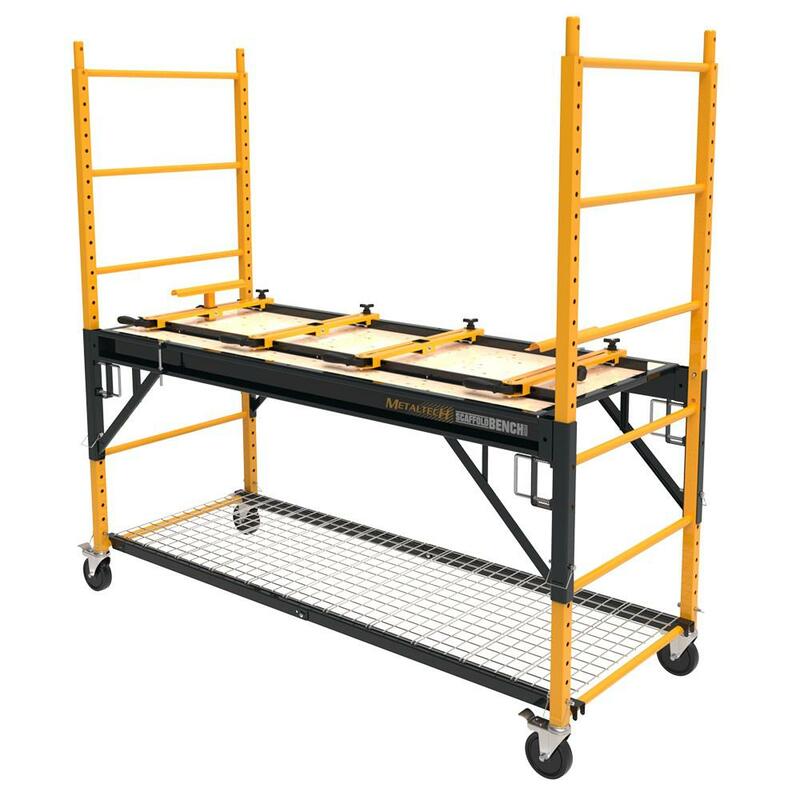 With the large easy-rolling casters, the 4-in-1 Scaffold Bench can also be used to cart equipment and supplies around the jobsite. Weighing a 161.5 lbs. this durable steel bench is solidly built to withstand the daily rigors of a demanding work site. 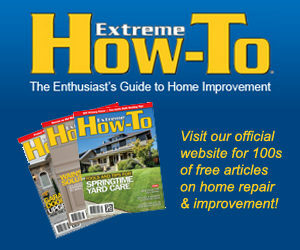 The unit is sold in a flat box for convenient shipping, but assembly is easy and requires no tools. The shelves adjust with handle-pull cotter pins, which simplifies assembly and day-to-day operation. 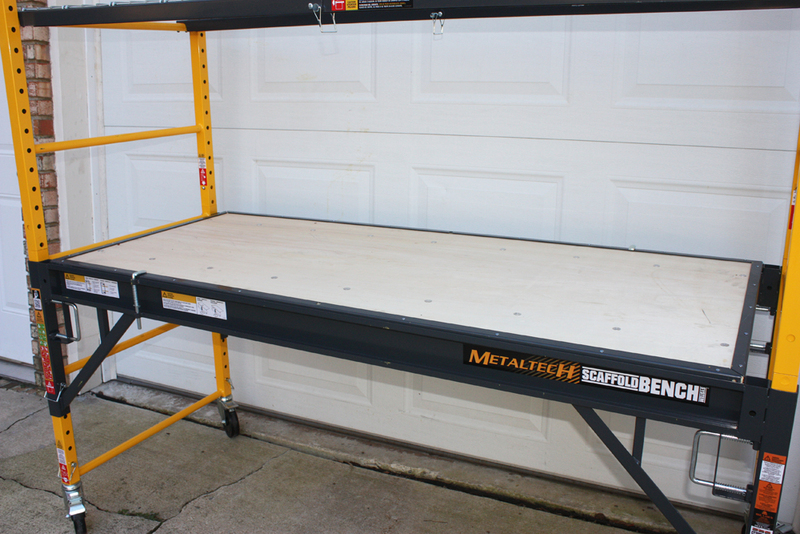 The new 4-in-1 MetalTech Scaffold Bench would make a nice holiday gift for the DIY’er or pro craftsman—just make sure they have a garage, shed or workshop to store it when not in use. Learn more at the Home Depot.